Wireless printing is now available through the Pharos Print Center (print.ivytech.edu). You will need to login to the system, select the correct printer, and upload your documents in order to print. See the steps below to complete the process. Please note: printing from an IPhone or IPad will not work. Those devices do not offer the "upload" option. Printing from a MacBook or any Windows based laptop SHOULD work. 1. Login to the student wireless network. 2. 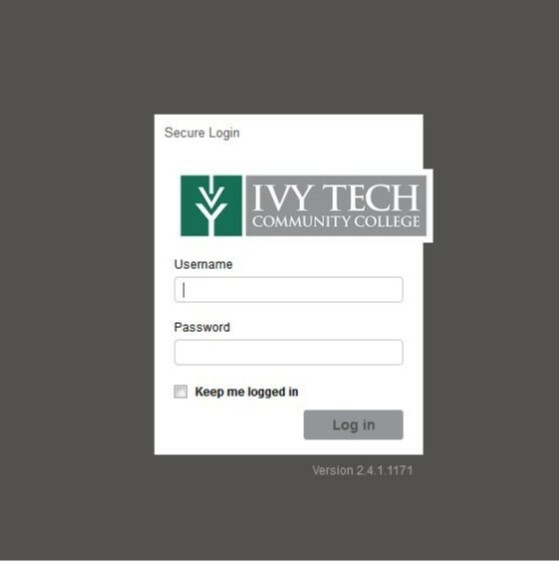 Go to the Pharos Print Center (print.ivytech.edu) and login with your Campus Connect username and password. 3. Search for the correct printer in the lower right-hand corner. At the Bloomington campus library search "d123" (the library room number). This search will take a minute or so because it is searching statewide. Select printer NBAP-D123-X5955. 4. 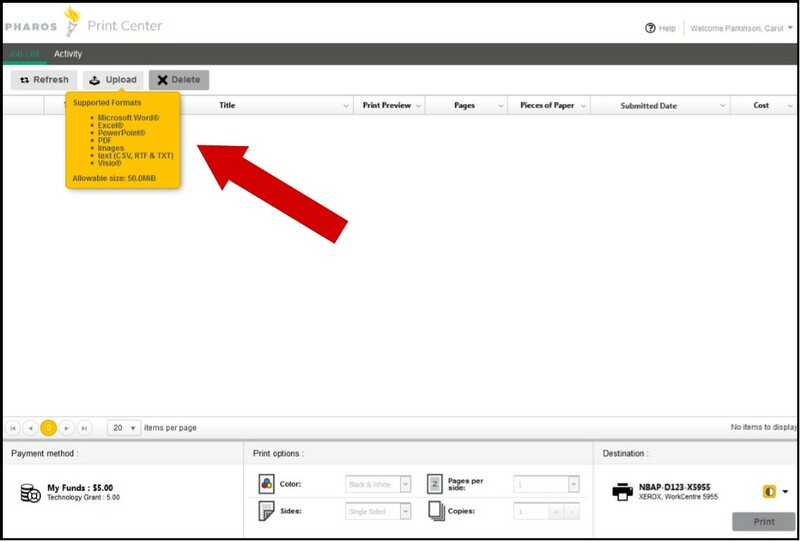 Upload your document(s) to the Print Center. You may upload Word files, pdf documents, etc. The system will not accept Apple "pages" files. You will need to convert those files to an acceptable format. 5. 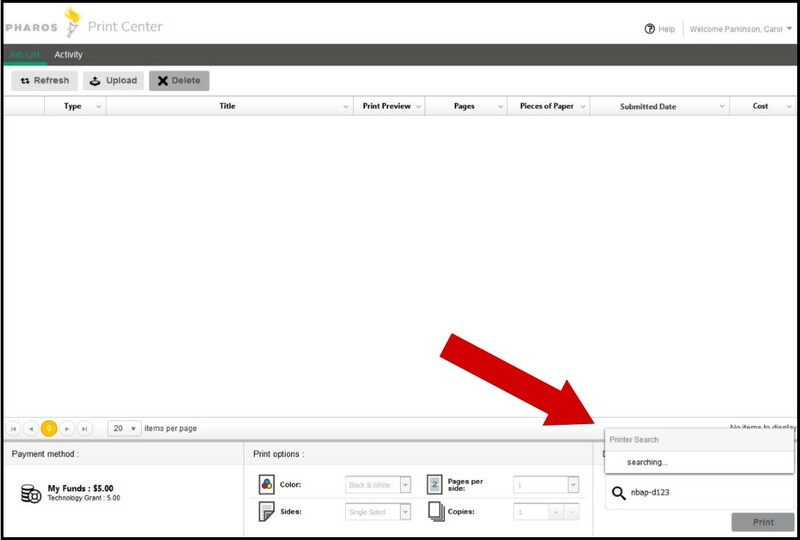 After your file(s) have been uploaded, select the file(s) you want to print by checking the box(es) in the left-hand column. Note the Print Options at the bottom where the default is set to double-sided. If you try to change this, you will likely get double-sided copies anyway. You may print multiple copies if desired. You may see an option for color prints, but color printing is not available at Bloomington's Xerox printer. 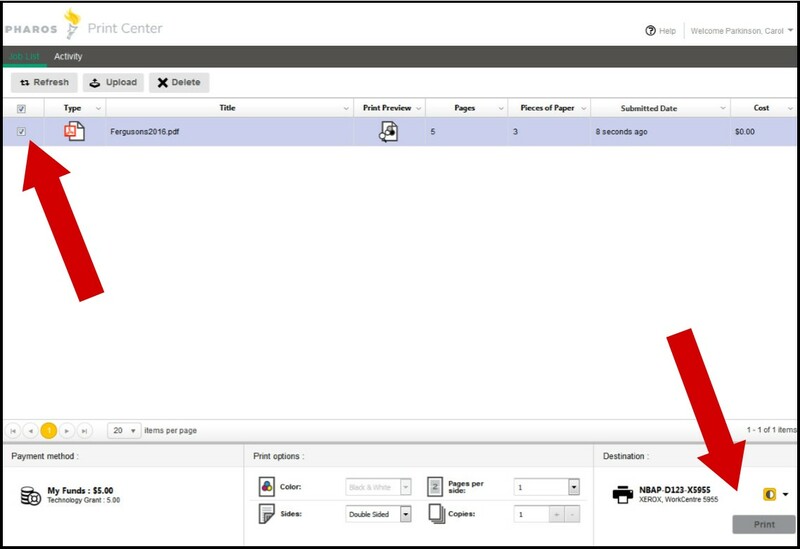 When ready, click the Print button in the lower right-hand corner. 6. 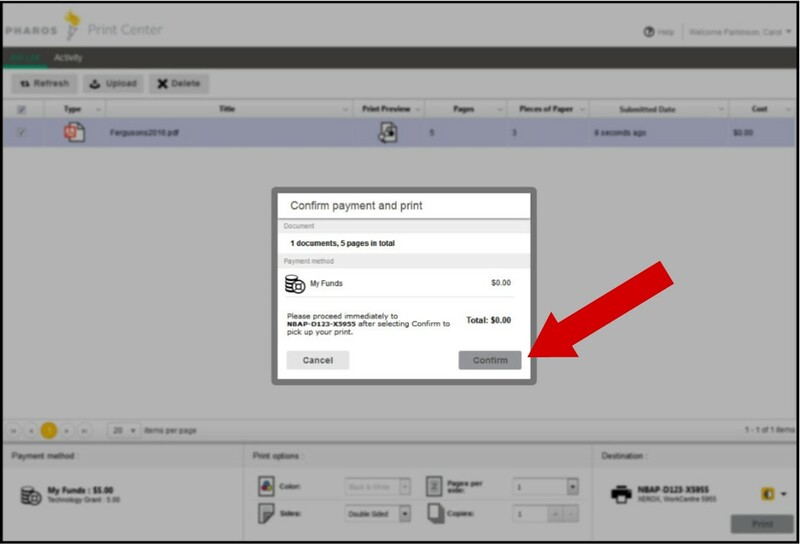 Click "Confirm" to accept the charges and release your print job. Pick up your documents at the Xerox printer/copy machine.